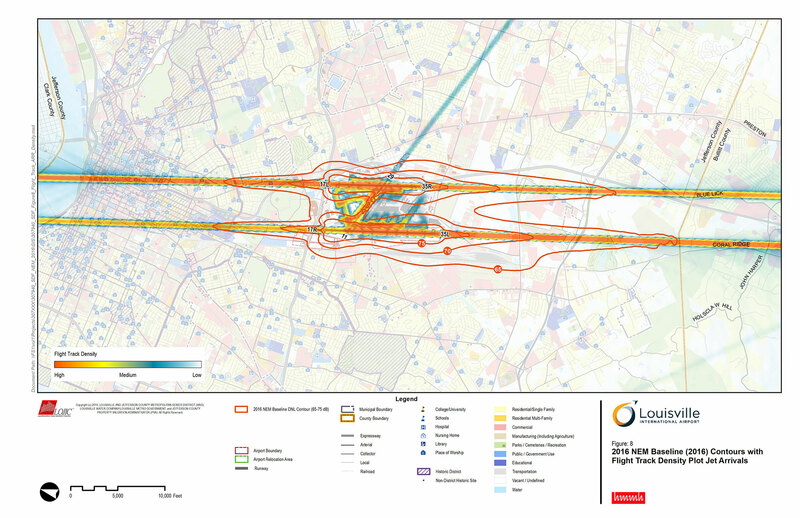 Actual flight tracks from a complete year of flight operations using our proprietary Integrated Noise Model (INM) preprocessor, RealContours, which captures actual aircraft flight tracks rather than the standard representative flight tracks developed in the noise model. Review of the 2015 flight tracks and conversations with UPS, the major cargo carrier at SDF, determined UPS does not adhere to the RNAV departures during the night due to the high volume of aircraft operations. 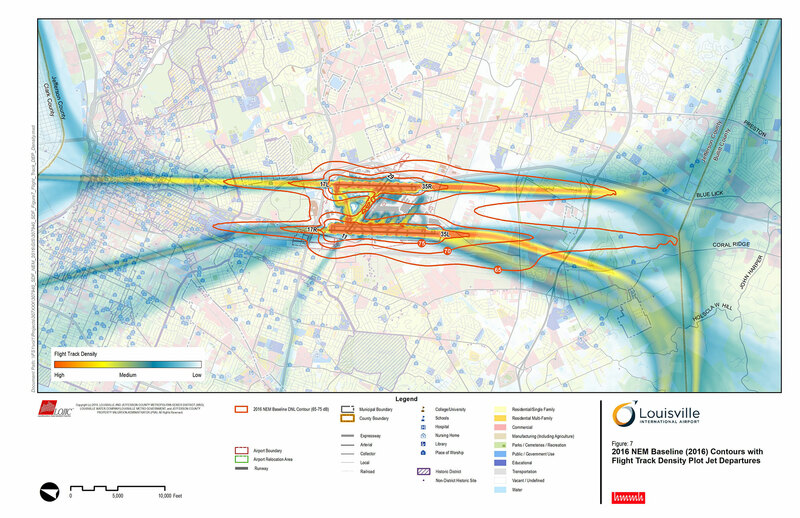 The new NEM showed that a community that was supposed to be avoided by one of the RNAV departures is indeed being overflown at night; that community is now included in the 65 DNL contour and potentially eligible for noise mitigation. HMMH periodically updated the Community Noise Forum, which was the Authority’s technical advisory committee for this project. HMMH also presented the 2011 and 2017 NEM updates to the public in a workshop environment.